A Monopoly board game by Hasbro Gaming is seen in this illustration photo August 13, 2017. The bankruptcy of Toys‘R‘Us weakened Hasbro Inc’s forecasts for the holiday season in otherwise strong third-quarter results on Monday, boding ill for a sector worried by the collapse of a major customer. The Amazon-fueled move away from brick-and-mortar retailing was behind the surprise filing last month by Toys‘R‘Us, which left Hasbro exposed to the tune of $60 million in unsecured claims for payment. The U.S. toymaker, which was selling about 9 percent of its total inventory through Toys‘R‘Us stores, said third-quarter profit rose 3 percent and revenue 7 percent - above analysts’ estimates - even as the bankruptcy began to hurt operations. 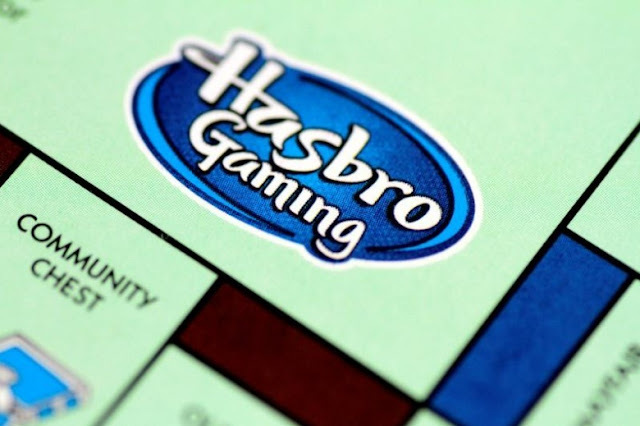 Hasbro’s estimate for the fourth quarter of an increase of 4 to 7 percent over last year’s $1.63 billion, however, was below Wall Street expectations. “As a result of the Toys‘R‘Us bankruptcy filing in the U.S. and Canada, there was a negative impact on our quarterly revenues and operating profit,” Hasbro’s Chief Executive Brian Goldner said in a statement. The fourth-quarter growth estimates translate to revenue of $1.7 billion to $1.74 billion, below the average analyst estimate of $1.82 billion, according to Reuters. Toys‘R‘Us, the largest toy retail chain in the United States, filed for bankruptcy in September with $5 billion due to creditors. If toymakers’ inventory is trapped in the process, it should weigh on sales in the crucial holiday shopping period. Analysts on average had expected sales of $1.78 billion and a profit of $1.94 per share. The bankruptcy of Toys‘R‘Us weakened Hasbro Inc’s forecasts for the holiday season in otherwise strong third-quarter results on Monday, boding ill for a sector worried by the collapse of a major customer. The Amazon-fueled move away from brick-and-mortar retailing was behind the surprise filing last month by Toys‘R‘Us, which left Hasbro exposed to the tune of $60 million in unsecured claims for payment.